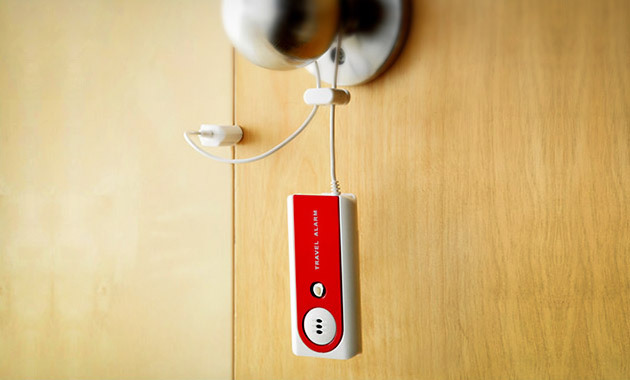 The Belle Hop Travel Door Alarm ($12) is a great travel gear for added security and privacy in any hotel accommodation. This portable alarm hangs over a door knob and features built-in metal pincher that fit between the door and frame to monitor any unauthorized entry. When the pinchers are separated, the Bell Hop Door Lock lets out a loud, high-pitched 91dB alarm sound to alert you and scare off any would-be intruders.